2. Manage lighting to turn on at sunset and to turn off either at sunrise or a preset time. 3. Give pet sitters and tradesman a temporary lock code to your smart door lock when you wont be home. 4. Install cameras to keep an eye on your home during your vacation! Most cameras today will offer motion or noise alerts so you can get a notification right on your smartphone! 5. Control and schedule your blinds and shades within your house! Now that the sun is shining bright, you can avoid the really hot days and close your window coverings! 6. Water your lawn remotely with a smart watering controller! 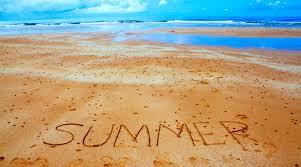 If you have any cool ideas for beating the summer heat, leave a comment! If you have any questions, please give us a call at 800-282-8864 or email sales@worthdist.com!